According to the Department of Labor, the number of new claims for unemployment benefits declined again last week. This is another indication that the job market seems to be healthy and gaining momentum. Taken across the entire economy, businesses are not laying people off (although there are always industry pockets where lay off occur). The U.S. economy added 209,000 in July, beating expectations by nearly 30,000. The unemployment rate went down from 4.4% to 4.3%, the lowest since March 2001. In addition, job gains for May and June were revised upward by 2,000 new jobs. Since January of 2017, the U.S. economy has added approximately 1.3M new jobs. The number of employed Americans is 153.5 million. The employment-to-population ratio has increased to 60.2 percent – the highest level since February 2009. Adding to the good news of the job gains is wage growth. Wage growth has increased by 2.5% on a 12-month basis. All of these numbers are good news for the jobs market and the economy. There are jobs available in the market and employers are hiring. Wages are moving up which normally signals consumer spending which further spurs economic growth. By and large, if a job seeker wants to work and has skills needed by an employer, there is a job available. 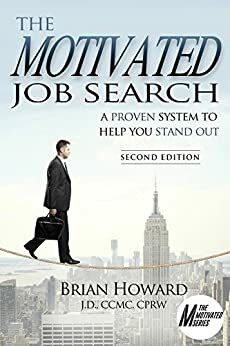 Check out The Motivated Series of job search books. They include: The Motivated Job Search (and accompanying workbook), The Motivated Networker, and Over 50 and Motivated.